4152801 BF60-1 KOMATSU BF60-1 Spoon Crusher. Spare Parts Catalog. Service (workshop) Manual. Operator's Instruction Manual. 4152803 BZ40-1 KOMATSU BZ40-1 Mobile Crusher. Spare Parts Catalog. Service (workshop) Manual. Operator's Instruction Manual. 4152804 BZ120-1 KOMATSU BZ120-1 Mobile Crusher. Spare Parts Catalog. Service (workshop) Manual. Operator's Instruction Manual. 4152805 BZ200-1 KOMATSU BZ200-1 Mobile Crusher. Spare Parts Catalog. Service (workshop) Manual. Operator's Instruction Manual. 4152806 BZ210-1 KOMATSU BZ210-1 Mobile Crusher. Spare Parts Catalog. Service (workshop) Manual. Operator's Instruction Manual. 4152807 BR100J-1 KOMATSU BR100J-1 Mobile Crusher. Spare Parts Catalog. Service (workshop) Manual. Operator's Instruction Manual. 4152808 BR100JG-1 KOMATSU BR100JG-1 Mobile Crusher. Spare Parts Catalog. Service (workshop) Manual. Operator's Instruction Manual. 4152809 BR100JG-2 KOMATSU BR100JG-2 Mobile Crusher. Spare Parts Catalog. Service (workshop) Manual. Operator's Instruction Manual. 4152810 BR100R-1 KOMATSU BR100R-1 Mobile Crusher. Spare Parts Catalog. Service (workshop) Manual. Operator's Instruction Manual. 4152811 BR100RG-1 KOMATSU BR100RG-1 Mobile Crusher. Spare Parts Catalog. Service (workshop) Manual. Operator's Instruction Manual. 4152812 BR120T-1 KOMATSU BR120T-1 Mobile Crusher. Spare Parts Catalog. Service (workshop) Manual. Operator's Instruction Manual. 4152813 BR200-1 KOMATSU BR200-1 Mobile Crusher. Spare Parts Catalog. Service (workshop) Manual. Operator's Instruction Manual. 4152814 BR200J-1A KOMATSU BR200J-1A Mobile Crusher. Spare Parts Catalog. Service (workshop) Manual. Operator's Instruction Manual. 4152815 BR200J-1 KOMATSU BR200J-1 Mobile Crusher. Spare Parts Catalog. Service (workshop) Manual. Operator's Instruction Manual. 4152816 BR200R-1 KOMATSU BR200R-1 Mobile Crusher. Spare Parts Catalog. Service (workshop) Manual. Operator's Instruction Manual. 4152817 BR200S-1 KOMATSU BR200S-1 Mobile Crusher. Spare Parts Catalog. Service (workshop) Manual. Operator's Instruction Manual. 4152818 BR200T-1 KOMATSU BR200T-1 Mobile Crusher. Spare Parts Catalog. Service (workshop) Manual. Operator's Instruction Manual. 4152819 BR200T-1A KOMATSU BR200T-1A Mobile Crusher. Spare Parts Catalog. Service (workshop) Manual. Operator's Instruction Manual. 4152820 BR200T-2 KOMATSU BR200T-2 Mobile Crusher. Spare Parts Catalog. Service (workshop) Manual. Operator's Instruction Manual. 4152821 BR210JG-1 KOMATSU BR210JG-1 Mobile Crusher. Spare Parts Catalog. Service (workshop) Manual. Operator's Instruction Manual. 4152822 BR250RG-1 KOMATSU BR250RG-1 Mobile Crusher. Spare Parts Catalog. Service (workshop) Manual. Operator's Instruction Manual. 4152823 BR300J-1 KOMATSU BR300J-1 Mobile Crusher. Spare Parts Catalog. Service (workshop) Manual. Operator's Instruction Manual. 4152824 BR300S-1 KOMATSU BR300S-1 Mobile Crusher. Spare Parts Catalog. Service (workshop) Manual. Operator's Instruction Manual. 4152825 BR300S-1B KOMATSU BR300S-1B Mobile Crusher. Spare Parts Catalog. Service (workshop) Manual. Operator's Instruction Manual. 4152826 BR300S-2 KOMATSU BR300S-2 Mobile Crusher. Spare Parts Catalog. Service (workshop) Manual. Operator's Instruction Manual. 4152827 BR310JG-1 KOMATSU BR310JG-1 Mobile Crusher. Spare Parts Catalog. Service (workshop) Manual. Operator's Instruction Manual. 4152828 BR350JG-1 KOMATSU BR350JG-1 Mobile Crusher. Spare Parts Catalog. Service (workshop) Manual. Operator's Instruction Manual. 4152829 BR380JG-1 KOMATSU BR380JG-1 Mobile Crusher. Spare Parts Catalog. Service (workshop) Manual. Operator's Instruction Manual. 4152830 BR380JG-1E0 KOMATSU BR380JG-1E0 Mobile Crusher. Spare Parts Catalog. Service (workshop) Manual. Operator's Instruction Manual. 4152831 BR380JG-1-M1 KOMATSU BR380JG-1-M1 Mobile Crusher. Spare Parts Catalog. Service (workshop) Manual. Operator's Instruction Manual. 4152832 BR480RG-1 KOMATSU BR480RG-1 Mobile Crusher. Spare Parts Catalog. Service (workshop) Manual. Operator's Instruction Manual. 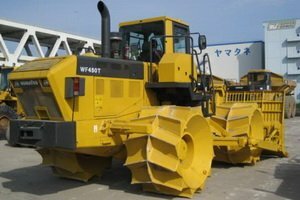 4152833 BR500JG-1 KOMATSU BR500JG-1 Mobile Crusher. Spare Parts Catalog. Service (workshop) Manual. Operator's Instruction Manual. 4152834 BR550JG-1 KOMATSU BR550JG-1 Mobile Crusher. Spare Parts Catalog. Service (workshop) Manual. Operator's Instruction Manual. 4152835 BR580JG-1 KOMATSU BR580JG-1 Mobile Crusher. Spare Parts Catalog. Service (workshop) Manual. Operator's Instruction Manual. 4152836 BR700C-1 KOMATSU BR700C-1 Mobile Crusher. Spare Parts Catalog. Service (workshop) Manual. Operator's Instruction Manual. 4152837 BR1000JG-1 KOMATSU BR1000JG-1 Mobile Crusher. Spare Parts Catalog. Service (workshop) Manual. Operator's Instruction Manual. 4152839 BM020C-1 KOMATSU BM020C-1 Belt Conveyor. Spare Parts Catalog. Service (workshop) Manual. Operator's Instruction Manual. 4152839 CZ130W-1 KOMATSU CZ130W-1 Pipelayer. Spare Parts Catalog. Service (workshop) Manual. Operator's Instruction Manual. 4152840 BM2009C-1 KOMATSU BM2009C-1 Belt Conveyor. Spare Parts Catalog. Service (workshop) Manual. Operator's Instruction Manual. 4152840 D85C-12 KOMATSU D85C-12 Pipelayer. Spare Parts Catalog. Service (workshop) Manual. Operator's Instruction Manual. 4152841 BM3618S-1 KOMATSU BM3618S-1 Belt Conveyor. Spare Parts Catalog. Service (workshop) Manual. Operator's Instruction Manual. 4152841 D85C-21 KOMATSU D85C-21 Pipelayer. Spare Parts Catalog. Service (workshop) Manual. Operator's Instruction Manual. 4152842 D155C-1 KOMATSU D155C-1 Pipelayer. Spare Parts Catalog. Service (workshop) Manual. Operator's Instruction Manual. 4152843 D155C-1D KOMATSU D155C-1D Pipelayer. Spare Parts Catalog. Service (workshop) Manual. Operator's Instruction Manual. 4152844 D155C-1P KOMATSU D155C-1P Pipelayer. Spare Parts Catalog. Service (workshop) Manual. Operator's Instruction Manual. 4152845 D355C-3 KOMATSU D355C-3 Pipelayer. Spare Parts Catalog. Service (workshop) Manual. Operator's Instruction Manual.